We are pleased to bring you this very clean and well kept Ram 2500 4x4. 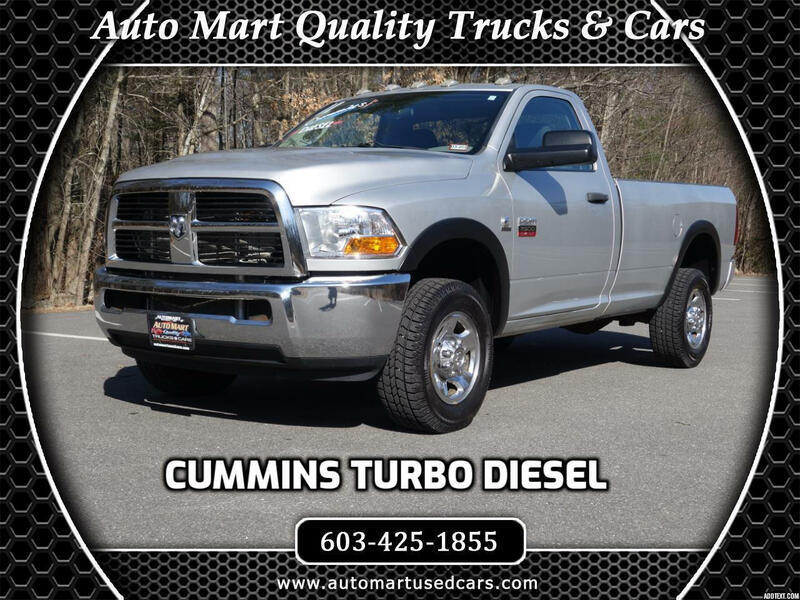 Featuring the 6.7 liter Cummins turbo diesel, it is ready to handle the tasks you have in mind. Finished in bright silver metallic, its paint, exterior panels and trim are excellent. If your looking for brawn, not bling, this is your truck. Its trim package does include climate control, Sirius XM satellite capabilities and exhaust brake. Its interior is clean, neat and a pleasure to be in. Just serviced with recent tires, it comes complete with a NH State Inspection and a clean Car Fax history report.